I am on an early 2015 MacBook Pro with macOS Sierra, dual boot with Ubuntu 16.04. In macOS, I did dd if=/dev/disk1s3 of=disk2s2(if i remember correctly). It succeeded and I proceeded to shrink the macOS partition using Disk Utility. That succeeded too. I proceeded to reboot and found myself unable to boot into any systems. Going into recovery mode, I am unable to restore from a backup or reinstall a new macOS. Would anyone know how I could restore things as they are? I am looking to install rEFInd so my MacBook would provide the option without me having to hold the Option key everytime. Update: removed/destroyed disk0 via gpt. just before I gpt add partitions back. Since you can execute a live version of Ubuntu, you have access to the gdisk command. 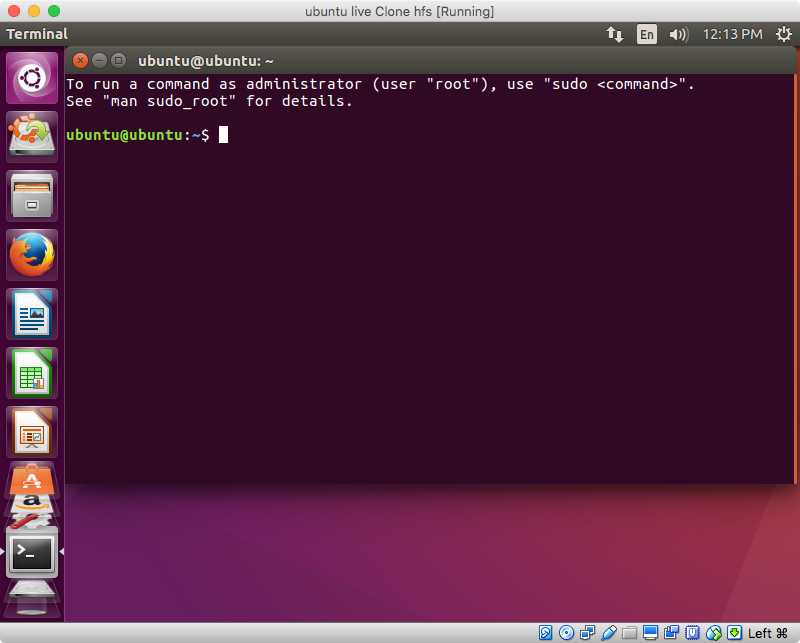 Once booted to Ubuntu, you will need to open a Terminal window. From the Ubuntu desktop, press the control+option+T keys. A Terminal window should appear, as shown below. You can confirm partition /dev/sda2 is a possible "Mac OS Extended" (Journaled)" volume by entering the command given below. The output at offset 00000400 should appear similar to what is shown below. What is important find is the characters HFSJ. The interactive command gdisk can be used to change the type id of a partition. The example below assumes the partition where macOS resides is a single Mac OS Extended (Journaled) volume. The example will change type id for partition 2 to 48465300-0000-11AA-AA11-00306543ECAC. The command to enter is shown below. The interactive input/output is shown below. OK; writing new GUID partition table (GPT) to /dev/disk1. Note: You can set the default boot volume by holding down the control key before selecting the icon shown in the Mac Startup Manager. Not the answer you're looking for? Browse other questions tagged backup unix efi .